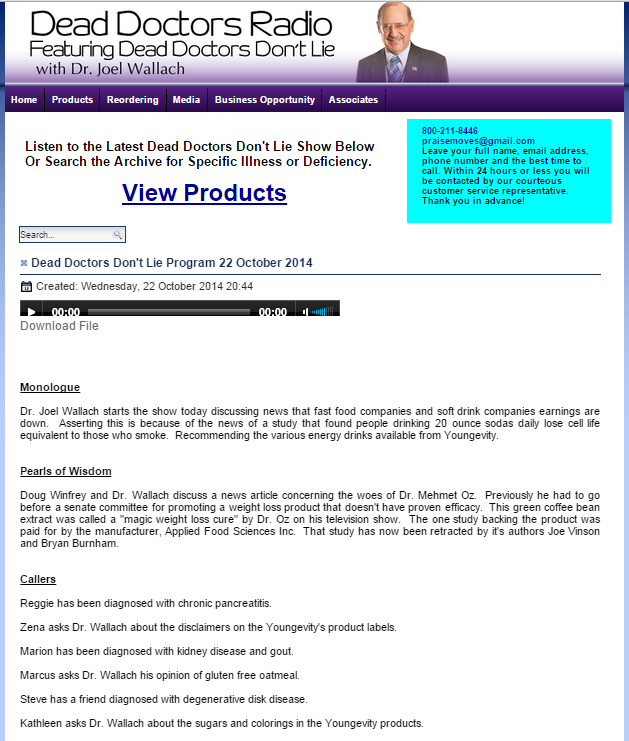 I'm excited to be able to offer you the opportunity to listen to and search the archives of Dr. Joel Wallach's famous 18-year-long 5-days-a-week health radio show. WOW! Enjoy!!! Click HERE or graphic below. QUESTIONS? Call us at 918-458-1800 or 800-211-8446.